This bi-annual event was first organized by author Colleen Houck as a way to give readers a chance to gain access to exclusive bonus material from their favorite authors…and a chance to win some awesome prizes! On this hunt, you not only get access to exclusive content from each author, you also get a clue for the hunt. Add up the clues, and you can enter for our prize–one lucky winner will receive one book from each author on the hunt in my team! But play fast: this contest (and all the exclusive bonus material) will only be online for 120 hours! Go to the YA Scavenger Hunt page to find out all about the hunt. There are SIX contests going on simultaneously, and you can enter one or all! I am a part of the GREEN TEAM–but there is also several other teams for a chance to win a whole different set of books from each team! Today, I am hosting Shaila Patel on my website for the YA Scavenger Hunt! Shaila Patel, a member of the Romance Writers of America, is a pharmacist by training, a medical office manager by day, and a writer by night. She is the author of the multiple award-winning, #ownvoices, YA paranormal romance SOULMATED and FIGHTING FATE. Hi everyone! I hope you’re having a blast, and I wish you ALL could win. At the very least, I know you’ll discover some new reads and terrific authors. For my exclusive content, I’m sharing a preview of ENDURING DESTINY, Book 3 in the Joining of Souls series (coming out May 30th). This book has truly been a labor of love and has let me indulge my love of travel. The story takes Lucky and Liam from the United States to Ireland and then to India. I can’t WAIT for you all to read it! I hope you enjoy the excerpt. Happy Reading! The force of being torn away from my nightmare left me trembling and gasping for air. Liam was phased too, and his presence in our dimension comforted me for a heartbeat before his anger registered. It chilled my bones. Alarmed, I tried to shake off the heavy blur of sleep but couldn’t–until Liam’s roar cut through it. And the dream came back to me. And don’t forget to enter the contest for a chance to win a ton of books by me, hosted author’s name, and more! To enter, you need to know that my favorite number is 19. Add up all the favorite numbers of the authors on the green team and you’ll have all the secret code to enter for the grand prize! 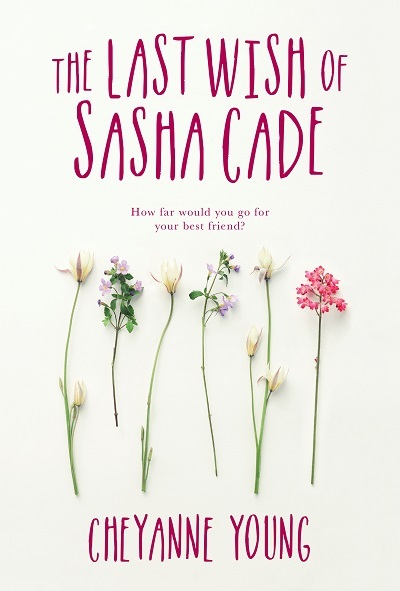 I’m also giving away a signed hardcover copy of my latest book, The Last Wish of Sasha Cade. To enter, just leave a comment on this post! I’ll randomly choose a winner on April 7th. The Last Wish of Sasha Cade is going to Germany! Thank you for participating and the extra giveaway!!!! Hello! Thanks so much for participating in YASH! Thank you for the opportunity to win your book! It sounds amazing!! Congrats on the German translation of your book! I think both covers are gorgeous. Thanks for participating in YASH!! !